Joyce Gioia is a professional speaker with expertise in workforce trends and workplace trends, employee retention, and leadership. She delivers keynote speeches, general session presentations, conference breakout sessions, seminars, workshops, executive briefings, and executive retreats. 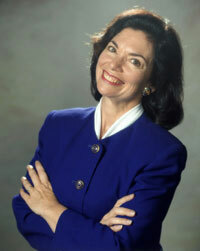 Joyce is a Professional Member of the National Speakers Association. The Herman Group also offers other speakers in different price ranges and for other areas of expertise through THG Consulting Partners. Interested in Making a Lasting Impression?